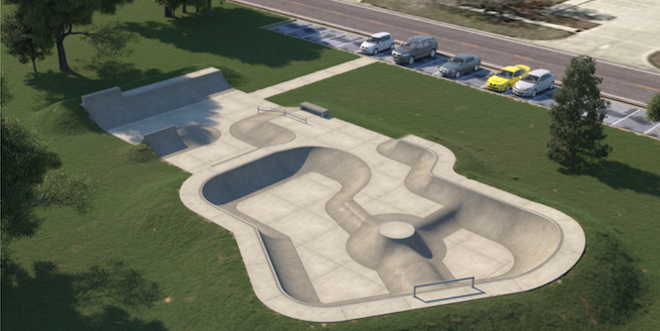 Grinnell City Manager, Russ Behrens, and Rich Dana of Imagine Grinnell recently met with Vince Onel of Spohn Ranch to finalize the design of the new skate park for Bailey Park. The design concept will be used to prepare construction documents. 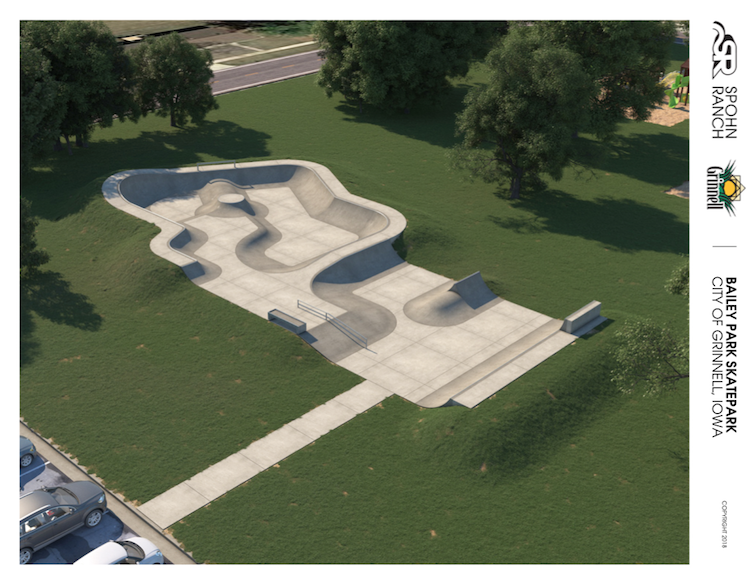 This design is the result of public meetings and on line surveys collected and is believed to be more versatile than the concept used during fundraising. 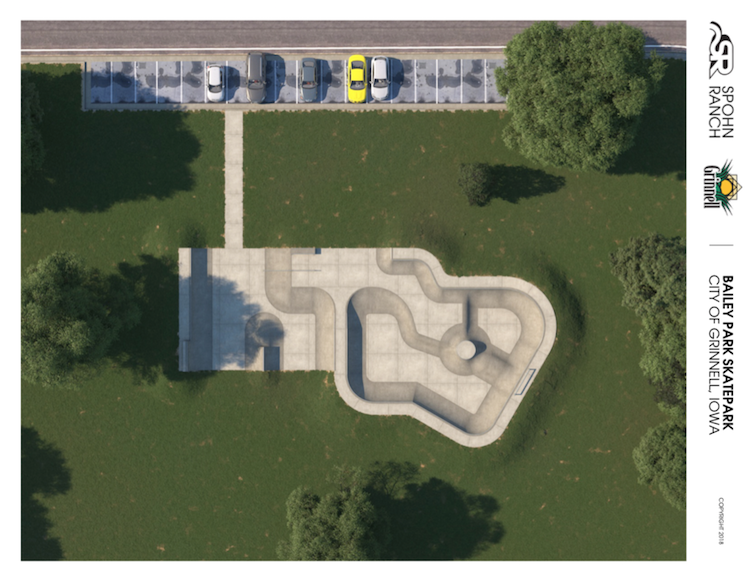 It is slightly larger and the features are BMX and skate friendly – the initial design was more skate centered. Construction needs to start no later than Sept. 15th to complete the project in 2018. This timeline, though challenging, remains the city’s goal.